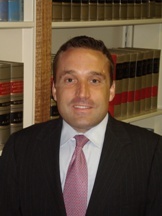 Attorney Doto is admitted to practice in both Connecticut and New York, and is a member of the Connecticut, New York, and Danbury Bar Associations. Attorney Doto is a past President of the Western Connecticut Estate and Tax Planning Council. Attorney Doto began his career in the tax consulting group of PricewaterhouseCoopers, LLP, where he gained experience with tax planning ideas for Fortune 500 companies and high-net-worth individuals. Attorney Doto earned his undergraduate degree from the University of Michigan and his law degree from Fordham University School of Law. Attorney Doto also has an LL.M. in Taxation from Boston University School of Law. Attorney Doto is a life-long resident of Danbury, Connecticut.